Art has long been recognized as an important part of a well-rounded education -- but when it comes down to setting budget priorities, the arts rarely rise to the top. Many public schools saw their visual, performing and musical arts programs cut completely during the last recession, despite the many studies showing that exposure to the arts can help with academics too. A few schools are taking the research to heart, weaving the arts into everything they do and finding that the approach not only boosts academic achievement but also promotes creativity, self-confidence and school pride. The arts integration experiment at Integrated Arts Academy at H.O. Wheeler (IAA) in Burlington, Vermont, started six years ago as an effort to break up socioeconomic imbalances in the district. Both the elementary schools in Burlington’s North End were failing and both had high levels of poverty (95 percent of IAA students qualified for free and reduced-price lunch), a large refugee population and lots of English-language learners. District leaders began having conversations with community members about turning Wheeler into a magnet school focused on both art and academics. The school is seeing results from the experiment. Before IAA became an arts-integrated magnet school, only 17 percent of its third-graders were proficient in math on the NECAP test, Vermont’s standardized test. After five years, 66 percent met and achieved the standards. The school still has high levels of poverty, although now that poverty is less concentrated, and there are still high numbers of English-language learners and non-English speaking families. Riley says referrals to the office are almost nonexistent during arts integration periods, and students and their families are more engaged with the school. IAA is still a public school, but now parents from outside the North End can choose to send their kids there. “Parents are interested in the arts model, interested in a different approach,” Riley said. The first year most kids still came from the neighborhood, but gradually the socioeconomic levels have evened out. Wealthier families are choosing to send their kids to IAA because of its program. Riley says the majority of students still walk to school -- it hasn't lost its sense of place in the community -- but now only about half the students qualify for lunch programs. 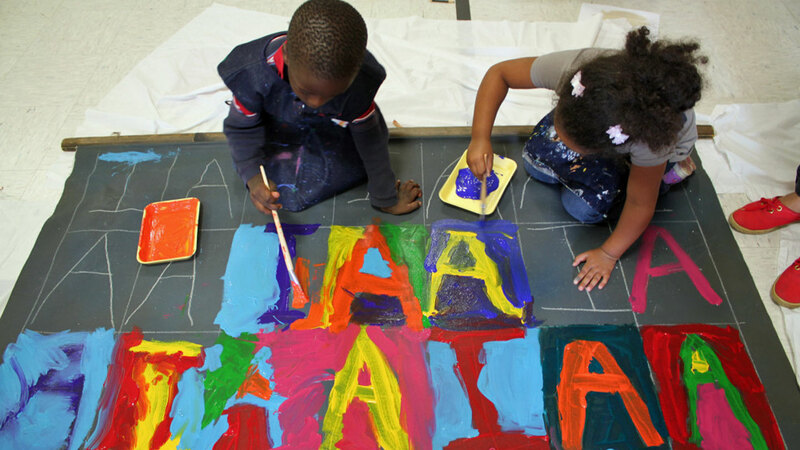 Art is not a second thought at the Integrated Arts Academy (IAA). Instead, artistic learning goals are held up as equals to academic standards and teachers work hard to design lessons that highlight content through art. “If you pick a subject area like science, social studies, math or literacy and you integrate it with an art form, what you do is connect the two and find ways to really integrate the two so they lean on each other,” said Judy Klima, an integrated arts coach at IAA. An arts specialist co-plans and co-teaches alongside the general education teacher to help ensure academic learning is happening through an art form and visa versa. For example, one third-grade science unit on leaf classification integrated visual arts into science. The teaching team used the close observation of leaves in science to teach about realistic versus abstract art. Students drew realistic drawings based on a leaf’s edge pattern. Then they made abstract art based on the scientific qualities of the leaf. “When you engage hands-on and you are creating your own learning, you are deepening your level of understanding about a specific topic,” Klima said. 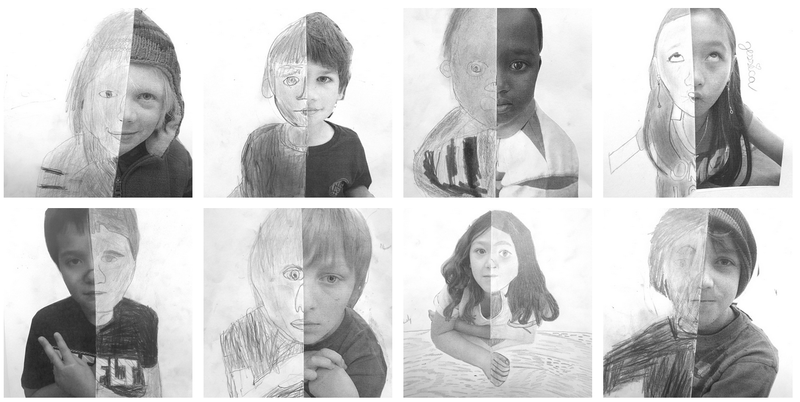 In this case, students thought differently both about classification and characteristics, as well as about the differences between art forms. Teachers rotate through visual art forms, music, dance and theater. One fifth-grade class came up with dramatic renditions of the Revolutionary War. They used the facts in their social studies curriculum to build scripts and then discussed the dramatic connections through volume, tone of voice and perspective. The Integrated Arts Academy's success has come with a lot of hard work. “If you taught in a traditional method and then you come to arts integration, you have to change everything,” Klima said. “You really have to understand creativity and that it’s critical to students’ understanding.” While all IAA teachers were given the option to stay at the school when it became a magnet, some chose to leave. “The classroom is a teacher’s island,” Riley said. “They have their students and their curriculum, teaching the way they teach. The arts integration really pushed us to collaborate. Opening up our practice and reflecting on it is a big part of what we do.” He said that’s not the norm at many U.S. schools. And that’s why he knows the collaboration necessary to integrate arts into academics doesn’t necessarily come naturally to many people. In his role as school leader, Riley has focused on building up educators’ capacity to effectively collaborate. “You can’t just tell people to collaborate,” he said. “You have to put the structures and skill-building in place.” IAA has two teacher retreats a year where teachers create art and try out lessons together. It’s a time for community-building and collaboration, a space for teachers to stretch themselves as artists, too. The school has also formed strong partnerships with the arts community in Burlington, taking advantage of its expertise through artist-in-residency programs and in turn helping to create a more vibrant arts scene. They’ve even started bringing graduate students in from across the state interested to learn and practice arts-integration strategies. While only in its second year, Riley hopes the Art Connect program can help spread these ideas to schools where participating teachers land. At Cashman Elementary School in Amesbury, Massachusetts, Elizabeth Peterson doesn’t have the benefit of a schoolwide focus on arts integration to bolster her commitment to the practice. But she perseveres because she sees the approach making a difference for her fourth-grade students. “I have to keep remembering and reminding myself that this is one of the best avenues to take. Because when kids are learning through the arts, they end up getting a deeper understanding and the concepts end up sticking much better,” Peterson said. Her strong suit is music -- she used to teach piano. When she went back to the general education classroom, she thought music could bring some joy and creativity to the academics she taught. Peterson might ask her students to listen to "Sabre Dance" by Aram Khachaturian several times, often during snacks or at another transition time. As a class they talk about the dynamics of the music, its tempo and instrumentation. Then students draw cartoons illustrating a story they’ve developed based on their interpretation of the music. Peterson asks students to develop a setting, plot and storyline, ultimately having them write out their story. “They’re definitely more invested because they’re pulling from their own experience and it’s their own interpretation,” Peterson said. They write elaborate stories and then talk about the differences in each student’s interpretation of the music. “Arts integration seems to be the best form of differentiation out there because it taps into so many different interests and abilities and forms of learning,” Peterson said. In the writing example, kids who hate writing happily develop complicated storylines and write pages upon pages of their own ideas. WHY ISN'T ARTS INTEGRATION MORE POPULAR? As with most deviations from what has been done in schools for hundreds of years, many teachers see art as secondary to the academic standards they must get through. Even Peterson said she feels that pressure, but she knows she can teach the standards through art in a way that also gives students some independence to stretch their creativity. But she points out that teachers don’t have to be experts to open up the door for students. There are experts willing to share their knowledge online, not to mention collaborations with local and state arts organizations to support this kind of work. Despite calls for more art in schools, artistic ability often isn’t recognized as a skill equal to computer coding or engineering by society. Many parents want their kids to study something that clearly leads to a stable job. Until the arts are held in high esteem, they will always come second in traditional schools, Baldwin said. “Even if parents say they value the arts, they still have that ingrained industrial method of education that people have a hard time letting go of,” Baldwin said. And, in her opinion, it's very hard to be creative within the narrow limitations of what traditional school and its standards ask kids to do. “You can’t be creative when you are in a box, when you have no way to make your own choices and decisions,” she said. Some teachers using an arts integration model, like Elizabeth Peterson, are working to help teachers understand how art can be built into any kind of classroom. A big part of that is being able to pitch the idea to administrators and defend what might look like some whacky practices to people who wander into the classroom on a given day.